Ash Silvers Sr. : Hawaii, 1892. 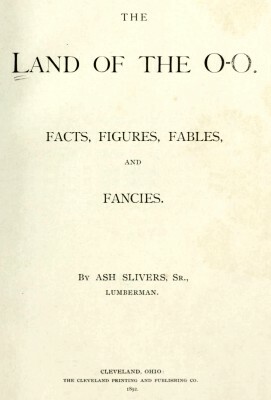 The Land of the O-O: Facts, Figures, Fables, and Fancies. Cleveland Printing & Publishing, Cleveland, Ohio, 1892. Ash Slivers was the pseudonym of Charles C. Burnett of Cleveland, OH, who sailed for Hawaii in 1891 and stayed for two months. He was an excellent observer of nature and people and sympathetic to the Hawaiians' resistance to America's desire to annex the territory. All native Hawaiiaiis are fond of the water ; they learn the art of swimming in baby-hood, and both sexes are equally proficient in it. One of their favorite amusements, years ago, was surf-riding. This they practiced among the breakers, standing up on single pieces of plank, as the waves dashed in over the reefs. This amusement, however, is of late years rarely resorted to. 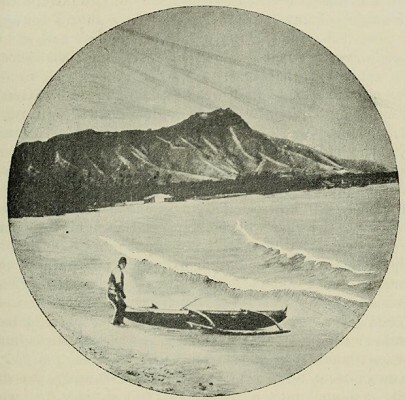 Geoff Cater (2012) : Ash Silvers Jr. : Hawaii, 1892.